Past week I've lost myself in working in the new house, painting the stairs and forgot didn't pay attention to make the necessary drawings for the blog. 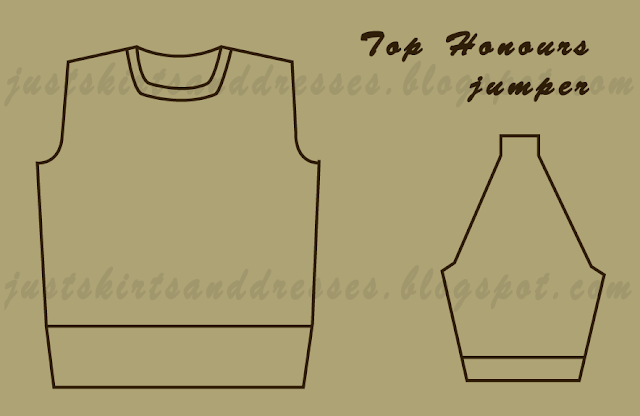 But here they are, the pattern diagram and pattern chart for my Top Honours jumper! I have a different approach to this pattern because I learned my lessons when knitting my first jumper. This means that I already know how to make the jumper fit correctly and make small adjustments in shaping as I go. 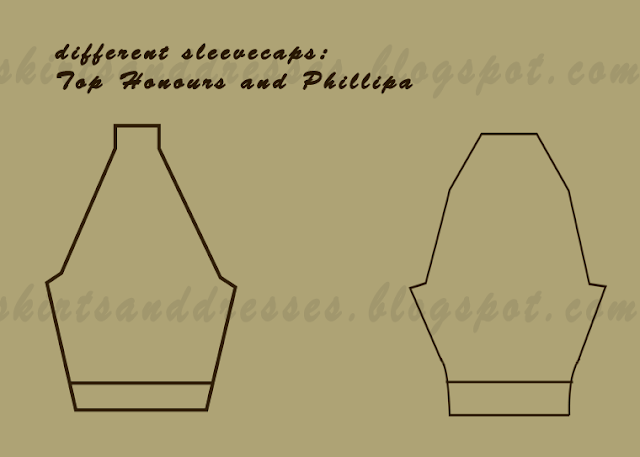 Click here to go to the Phillipa jumper series. So, regarding the general shape the main difference between my first Phillipa jumper and this one is the shape of the sleeves and the waistline ribbing. 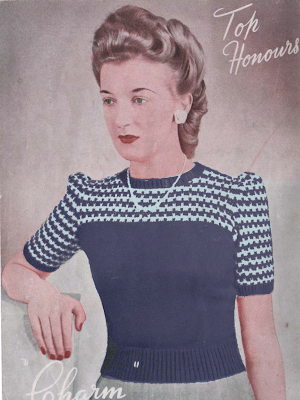 When looking at the original picture this jumper starts with the same amount of stitches after the ribbing and increases above that while the Phillipa makes a first series of increases in the last row of ribbing. I liked the little blousiness of my finished Phillippa better and decided to adapt that. In fact, I even adapted the stitch-count of the Phillippa to achieve a zero ease. Again, there was no visual pattern chart, only written instructions. While by looking at the original picture you see 'scalloped' rows, the pattern is formed by straight rows with slipstitces. Quite different, ha? Continue in pattern in contrasting color and repeat the 4 rows above. These 8 rows complete the yoke pattern. Are you not familial with pattern charts? click here to read more! When reading the instructions you see that one pattern unit (this is the repeating part between the stars) is made up by one slip stitch and the next 3 sts (this makes a total of 4 sts). To make the pattern look symmetric I made sure to end with a slipstitch plus an extra stitch next to that at the beginning and the end of the row across the yoke. 1. start with the amount of stitches you need for a good fit. 4. to make the yoke look symmetrical distract 3 from the total amount of your yoke stitches and then divide that number by 4. 5. you need to round up or down a few stitches to the closest match. One or two stitches more or less doesn't matter that much in the fit but do in the looks. Now, why should you spend time on re-counting and calculating all of the pattern stitches? 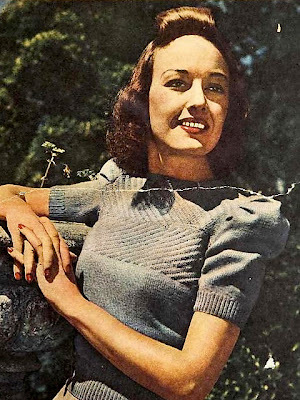 If you follow every written original pattern instructions you will not always end up with a garment you like. As you might know by now, I am quite picky about small details, like the finishing touches or symmetry. To show you the result when you do your stitch count correctly here is a picture of the sleeve seam. The seam is almost invisible and I like that!